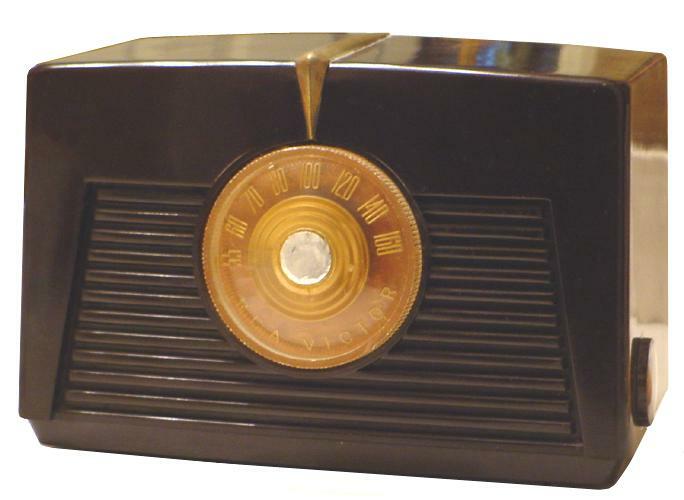 A very common radio that turns up just about anywhere, this walnut bakelite RCA has a unique trapezoidal design. The radio has a standard AA5 circuit and a vertically mounted chassis. The back clips on rather than attached via screws, which provided convenience for replacing the tubes. This RCA only needed some polishing and the brass pointer nicely finishes off the appearance.